I’ve already written about Broken Promises extensively from a game perspective, and I’ll be writing about it more in the future (watch for this month’s Wyrd chronicles), but one thing I haven’t done yet is break down the actual physical product that Wyrd released. So, since it’s Review Week on our new Malifaux Musings publication schedule, let’s do a review of Book 5. But first, some Mini-Musings and a word from our sponsors. 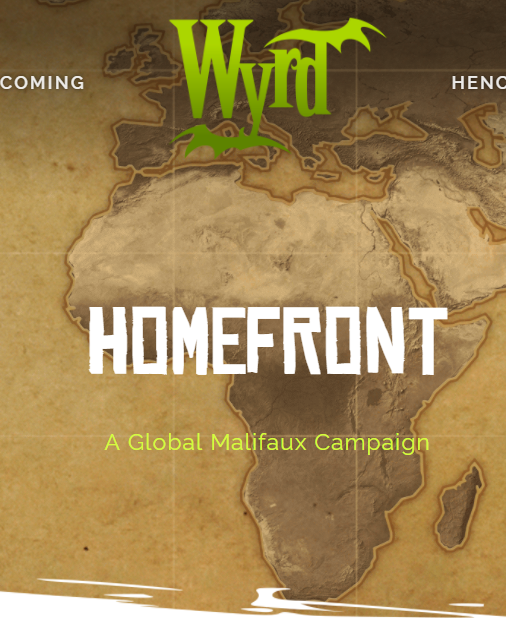 -The biggest news, of course, is the beginning of block 1 from the Homefront campaign. It will run for 2 weeks, going from October 2nd to, presumably, the 15th. I like the tie-in between Malifaux and The Other Side, but I’m not as amped for this one as I have been in the past. The reason came to me when I saw that the Syndicate and Faction forums were up, I went to go read them, and realized “Wait, there’s no point. There’s no strategy for this other than ‘play as many games as possible.’” So I’ll still be playing and reporting my games (Sandmen all the way, baby, and not just because I’m a big Metallica fan.) I just won’t probably be spending a lot of time in my faction forum. -Iron Painter rd. 1 voting is going on as we speak, and ends on Monday. The first round’s theme was OSL, and from what I’ve seen, there’s some very cool stuff out there to check out. -We’ve completed one month on Patreon, so it’s time for our first drawing. *reaches into raffle box* And the Miss Ery model goes to….Kevin Tapper! Kevin just joined this month, and he’s won a prize already. You’re not trying to win from out of a pool of hundreds of contributors, folks. We’re a small blog right now, so the prizes have never been easier to win. Come on down to our Patreon and sign up now, and you can get an entry for October’s drawing, a Miss Terious! This model works as an alternate Death Marshal and will fit nicely into most Guild-y crews, particularly Perdita. And if you knock the casket off, she’d probably make a pretty decent Monster Hunter proxy until the model comes out. And because it’s Halloween, I’m going to throw in an All-Hallows Eve surprise for the winner, as well. Even a $1 a month contribution earns you an entry, so come on over to our page and supportMalifaux Musings! The cover image on Broken Promises is something quite unique, as all of the covers for Malifaux books that I can remember have usually had some kind of action scene featuring full-body artwork of one of the models released in the product. Perhaps fittingly, since this features the first effort to go back and release new upgrades for old masters, this features a different style of cover image. It’s a collage of signature masters for each of the factions separated like a broken pane of glass, with a Guild seal at the center. The message is pretty clear: the Guild, and more specifically, the new Governor-General, is going to smash things up and make their presence felt. In response, the other factions are starting to fragment. It also gives Wyrd’s new graphic artists a chance to show their stuff. Lillith’s primal scream and McMourning’s trademark maniacal grin are really striking, and it makes for a sharp looking cover. The book itself weighs in at 257 pages of content, which feels like about par for previous Malifaux offerings. Each faction gets their own section with a new lore story, a special story scenario related to that short story, followed by the new content for the miniature game. The factions each received a new henchman, a selection of enforcers and minions, and the biggest change to the game, new Upgrade cards for each master. While I wouldn’t say that every single model in this book is amazing and going to find significant table time, there also don’t appear to be very many which make me say “This is a dog turd. Why would anyone play this?” This is a significant achievement, considering we’re in the 5th book of this limited-scale skirmish game. Anything new that the designers introduce has to compete with everything that’s come before and do it without introducing power creep, something with which many games can struggle. They’ve achieved this here in a number of cases by introducing models which explore regions of design where factions have previously had a weakness. As an example: the Guild previously had a reputation for strong top-end models but more lackluster low-soulstone stuff. To counter this, Broken Promises introduces a bevy of 6-stone models, all of whom perform different roles. This was done masterfully. Additionally, some models were very clearly intended to sit with masters that needed a power boost, like the Riotbreaker for Hoffman or the Cyclops and Bultungin with Titania. This was done subtly, by providing a model that is useable and effective with any crew that can hire them but which really shines when paired with the appropriate leaders. The approach varied in different factions, but the end result is the same: new options and new design space being opened up. The new models are a big win for Wyrd and, in my opinion, the most effective part of the book. Since the start of M2E, I’ve wanted to see them release new upgrade cards for the old masters. 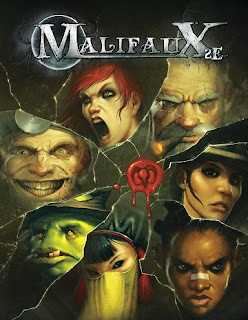 It was something that was promised as an option from the start and, especially where Limited upgrades are concerned, gave the Malifaux designers the ability to radically alter the way a crew works without having to release a new edition of the game or a new version of the model with redesigned or Errata’d rules. However, besides the occasional errata for severely gimped masters like Lucius or Ironsides, masters have lived with what they received at release. It’s easy to see why it took a while to try new upgrades, especially on this scale. You can’t very well just add new options for some masters but not for others unless you want a lot of community belly-aching, so you have to design for all of them at once. Much of a crew’s power runs through the master, so there’s danger that you can end up making much more drastic changes than you intended when you tweak them like this. And, tbh, Wyrd probably makes much more money off of new models than they do from decks of upgrade cards, which reduces the incentive to put them out. As such, I applaud the effort behind getting this work done. Overall, I would call their effort successful with a few stumbles. A number of masters that needed help got it in spades with these upgrade cards. We’ll have to wait and see how many of them end up being as effective in the game as they look on paper, but just the fact that people are excited to play Toni Ironsides, Mah Tucket, and Lady Justice can only be considered good things for Malifaux overall. Other masters that were already pretty good got new tools added to their toolbox. Dreamer can play a melee oriented game. Pandora can act as a limited summoner. Dr. McMourning greatly expanded his hiring pool. I think this was the best part of what was done here, and I wish we would have seen more of it. It seemed like an effort was made not to take some of the already strong crews and make them stronger, but rather give them some different choices to try. This was for the most part effective, but there were some odd glitches. Both of Collodi’s upgrades have been dismissed by every reviewer I’ve seen, as adding a melee attack when he can already use his main attack, one of the best in the game, in melee is redundant and unnecessary. The teleportation/summoning upgrade he got feels janky. Contrast this with Hamelin, who is arguably one of the strongest masters in Malifaux Gaining Grounds 2017 (if, paradoxically, one of the least played due in part to the large number of models required and the general “uck” feeling he inspires in most people.) His new Plague Pits is a flat-out strong upgrade that is going to be played often, allowing Blight become a viable main attack strategy, and doesn’t seem to cost him a whole lot (Hamelin crews usually could afford dropping an upgrade to make room for it.) Add to that the ability to work around the “no-unburying-on-turn-1” clause of Viktoria’s Soaring Dragon upgrade using the Scion of the Void, and the top 2 Outcasts seem to have the majority of the potentially negative-play-experience upgrades in the book. This feels like a mistake, and I would expect that the Soaring Dragon thing will get fixed with an errata, but that won’t be happening until January. And, look, it’s early yet. Some of these things may end up being overblown. Plague Pits may not be such a big deal, and Collodi’s Doll upgrade may actually be really good and we’re all just not seeing it. I don’t know, and I’d be the last one to stake my reputation on theory-craft (as I’m, frankly, quite bad at it.) But, the thing to remember is that these are the exceptions, not the rules. Most of the new upgrades are at least interesting, and it blows open crew design from the end-of-GG-2017 funk I think many players have felt. It’s hard to consider this aspect of the book to be anything but a win, and I applaud the effort Aaron and the other designers put into this. One of the highlights of most Malifaux books (for fluff nerds like me) are the stellar short-fiction offerings included to advance the story of the game world. It seemed, however, like the fluff wasn’t as big of an emphasis here as we’ve seen in other Malifaux books. Where, previously, the factions sections would have been bookended with stories that incorporated elements of each of the factions and (usually) provided the big thrust of the story developments, in Broken Promises there were just the 7 short stories for each faction. 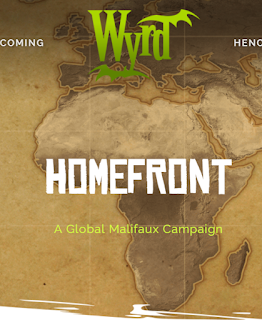 The overarching theme was two-fold: the Guild cracking down in Malifaux and the other factions trying to endure while individuals advance themselves through acts of betrayal. Most of the stories were well-written, and I liked what they offered. The McMourning focused story from the Resurrectionist section felt a little odd, in that the doctor effectively threw his Guild badge in Lady Justice’s face but will remain a dual-faction master from the game’s perspective. The Outcast story, while feeling a little bit like fanfic in terms of the need to have major-character after major-character show up for a cameo, was at least interesting from the perspective of solidifying the faction and giving them a home-base in the Outlands in the wake of the Guild outlawing mercenary work. The Gremlin story was…well, it was what you expect from Gremlins. If you like it, you were probably delighted. If you don’t, this won’t change your mind. I’d like to see the Gremlins mix it up with some of the other factions more frequently, personally, as we’ve been told since the beginning of M2E that they were going to be important in the coming wars with the Tyrants but, apparently, seem content to sit in the bayou and argue amongst themselves rather than doing anything meaningful. But the story I found to be least in keeping with the overall aesthetic was the Guild story. I get what Mason was going for here: trying to craft a comedy piece featuring the masters of the Guild in their off-hours, mingling inside their Enclave’s break room downtown. It was reminiscent of shows like the Office, with only the individual confessional-style interviews missing. But it felt tonally incongruent with the rest of the book, and I don’t think it worked. Personally, I think something could have been done to explore a member of the Guild getting screwed over in the new regime (or vice-versa) and this story would have felt more at home in an issue of Wyrd Chronicles. Plus, how does Lady Justice play poker? She can’t see what’s printed on the cards? The graphic design of the new book is really strong. A number of masters got the sort of touch-ups and updates that we’d previously seen for Dreamer and (if you had access to Through the Breach’s Core Rules) Von Schill, leading to tantalizing speculation on whether some of these incredible redesigns are going to be converted to alternate sculpt miniatures. One assumes the Dreamer is coming for sure, as the kid in the nightshirt feels odd to play as the Cricket-Bat wielding sociopath he’s becoming. For whatever reason, the Ten Thunders masters got a number of updates, including a very cool image of Lynch with cards flying around him and burnt-out eyes, as well as a much more lithe-looking Yan Lo and a grungier McCabe in a duster. I wonder if they’re not in line for a refresh simply because they were released as Wyrd’s first efforts at plastic and, to be honest, many of the models don’t live up to the current sculpts. The only place that the art design falls down, in my opinion, is where they’ve recycled art from previous publications for use here, as the styles don’t always match with the newer, grittier pieces. It wouldn’t be as jarring if they were consistent (IE new art in the short fiction stories, old art with the upgrades) but when they switched back and forth it was a little jarring. It was particularly weird in the Resser section, where some art of McMourning and Nicodem were resurrected (fittingly) from the 1st edition days to represent them. Weird. So, overall, I think the crew at Wyrd really succeeded with Broken Promises, especially from the perspective of Malifaux the Game. There are no obviously dead models coming out (arguable, but it’s my review so you can deal with my opinions) and the new upgrade cards improve the game by expanding the options available to the masters. The production for Broken Promises had a few more rough edges than I’m used to seeing in Wyrd products, but if sacrifices had to be made somewhere, I suppose some hiccups with the fiction and art can be forgiven. Broken Promises is a fine product, overall, and keeps the strong tradition of Malifaux sourcebooks going.